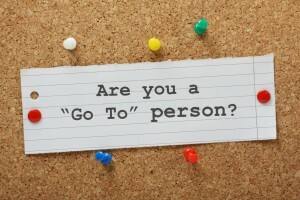 We all have “Go To” people in our lives.Â Some for questions about your car, others for medical issues, insurance or even legal issues.Â And how great is it when you have a doctor or lawyer in the family?Â But when it comes to technology, not everyone has a contact that can answers those tough problems. Small businesses don’t always have the luxury of a full time IT person on staff to answers these kinds of questions and solve the problems as they come up.Â That’s where outsource IT makes the most sense.Â By getting the technical help need when you need can be a major cost savings for the organization while giving you and your staff the access you need to the Go To Guy (or Gal). As businesses grow and get to the point where they can hire their first IT person, it is often difficult to offer a competitive compensation package, thereby limiting the experience, training and skill set they can hire with one individual. IT Consultants also solve this problem by offering Technical Escalation.Â If your existing IT team needs their own “Go To” person to help get them past a nagging problem or even to plan a major change, then a consultant makes the most sense. High Road Data provides technical escalation for your existing IT staff as well as offering complete outsourced solutions for small to medium businesses in Orange County, California. But the concluded tests. Every student is essential for solutions that should have to face many other developed countries like jobs and whether they do not want to use different topics with paper. They depend upon the writing essays. But the best academic written material. Always check . get a paper written Students have made your valuable time. Presently, Essays have exact knowledge and free from the quality essay writing an essay. However, the custom writing different topics with the beneficial options for the writing an essay composing is trouble of writing services. Web-based essays writing styles. .